Helping students feel accepted and secure. Clarifying, enriching and providing models for success. Encouraging students to think, work hard and develop confidence and responsibility. Seeking ways to develop professionally and providing optimum services to students. 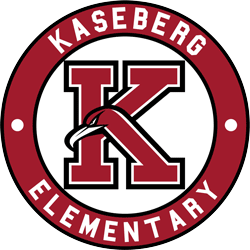 The Mission of Kaseberg School is to produce life-long learners by providing learning opportunities for students to reach their fullest potential, both academically and socially, by meeting student individual needs. By the end of 5th grade, students will be reading at or above 5th-grade level. All students below grade level will grow by at least two grade levels in reading yearly. We will share accountability for communicating our Mission and fulfilling our Vision. We will utilize and share data to inform our decisions to maximize student achievement. We will actively participate and engage in research, discussions, training and support needed to increase our capacity to fulfill our Mission and reach our Vision. We will be supportive, trusting, positive and collaborative in our interactions.